Old Crow Medicine Show just announced their summer tour dates and the upcoming release of the Brushy Mountain Conjugal Trailer EP. The EP was previously released digitally but the physical EP will be available at all major retailers on June 2nd and includes three new tracks “Mother Church” (an homage to the historic Ryman Auditorium), “I Done Wrong Blues”, and a live version of “The Warden”. OCMS’s summer tour includes a headlining appearance at Nashville’s brand new 6,800 person capacity Ascend Amphitheatre on August 28th. You may also catch them in a number of other towns performing with variety of exciting acts including Sturgill Simpson and The Devil Makes Three as openers, co-headlining dates with Brandi Carlile and Willie Nelson & Friends or supporting The Avett Brothers on a handful of dates. Over the past year, Old Crow Medicine Show has been working in support of their most recent album, Remedy, which won a Grammy for best folk album, and marked the highest Billboard debut in the band’s 18 year career, The album has received high praise including coverage from NPR, Wall Street Journal, Associated Press, Huffington Post and many more. 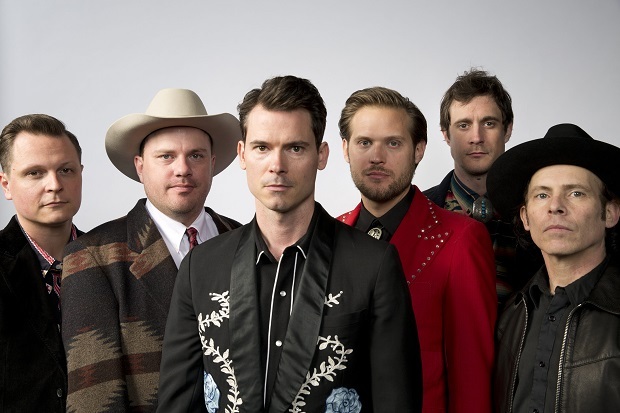 Old Crow Medicine Show has continued to grow their audience through their spirited live performances, instrumental process and a genuine connection to their fans. Check out their latest video for the song “Brushy Mountain Conjugal Trailer” which was shot at the Tennessee State Penitentiary.